It is of utmost importance to take care of yourself during your twin pregnancy. Every pregnancy is important but the one with multiples is even more so. Technically before becoming pregnant you should take prenatal Vitamins. Even if you have not, as soon as you learn that you are pregnant you should start taking them. Nutrition also plays an important role during your twin pregnancy. You should follow the food pyramid guide and increase your calorie intake. This is not the time to be concerned about dieting. That is part of the postpartum fun. It is also time to make some important decisions. Decisions about care givers, natural birth or c-section, bottle-feeding or breast-feeding, and even names. If you are interested in how twins are conceived visit our types of twins page. 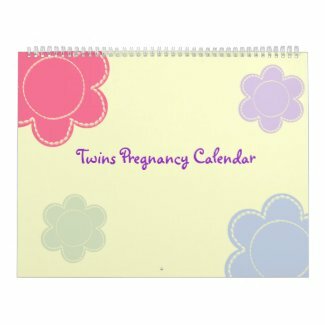 Do not forget to visit the week by week twin pregnancy guide section. For starters you should decide who will be your main care giver during your twin pregnancy. Should you choose a midwife, a family doctor or a gynaecologist? My simple answer to that would be a gynaecologist – but not any gynaecologist, one who has delivered multiples before. You may even end up with a perinatologist, a gynaecologist who specializes in high risk pregnancies. You may have the best pregnancy possible, but you also have to be prepared for the unseen and complications. And with twin pregnancies the chances of having complications are just about doubled. It is a special time and you will be treated differently even with your doctor. You will see your doctor more often, especially after week 28/30. You will also have more ultrasound tests. It is common with twin pregnancies to do a Non-Stress test toward the end. You are hooked to a machine that will evaluate your babies heart rate for about 40 minutes (20 minutes each). If all is normal you may return for another test in a few days. This tool gives doctors an idea how well babies are doing or maybe an induction is in order. Normally, twins are considered full term at 36.5 weeks. If you give birth anytime after that would be wonderful. I have heard of a mother who made it to week 41. But that is rare. It is normal for twins to show up early especially around week 35-36. It seems funny to mention this but mothers carrying twins tend to look bigger than their weeks. There are people who tend to hide their pregnancies until the three month thresh-hold is reached. Now this would be difficult for most ladies pregnant with twins. I remember at 3 months I looked like 5! At 32 weeks my doctor warned me if strangers ask you if you are due any day, it is because you are measuring as if you are 38 weeks. Some ladies use what is called maternity belt to help them with their back during twin pregnancies. You may also have to be prepared to be on bed rest or semi bed rest sometime during your pregnancy. You should try to get as much rest as possible. Towards the end of your twin pregnancy, sleep may sound like a luxury. I did not feel comfortable sleeping on my sides. I ended up sleeping on a reclining chair. Even with that, it was difficult to get out of the chair or bed. Sometimes I felt like I needed a crane to lift me! was very helpful for me. It does take a bit of room in bed though! Many women are worried whether they will have a c-section or natural birth. The best thing to do is relax and go with the flow and your doctor's advice. If you have a natural birth, good for you. Be proud. If you end up with a c-section, still be proud and congratulations are in order. It is a major surgery and you need time to recuperate, but it is the end result that matters. To me the most important factor was delivering healthy twins. (mine had to be c-section anyhow!) But really, I realize that there are people who have their mind set on having their babies naturally. But sometimes it is necessary to have the operation. For your health and for the health of your twins. So relax and enjoy your destiny. After the little ones arrive you need to be prepared for what feeding method you want to use. Visit ourPostpartum for more information. im 23 and im 27 weeks pregnant with identical twins . At this point in time i feel like i cant do alot i have an 2 and a half year old boy hes a handful im soo scared of labour i keep reading all these things on the internet of how early people have there twins and it worrys me but everyones different i suppose .